The vine is vital to wine. But how that vine grows may be the most important factor to crafting outstanding wines.  Levendi produces and works with the best grapes from the finest vineyards in the Valley. Our efforts have proven worthwhile every time we open a bottle! Next time you pour a glass of our wine, look at it. Breathe it in. Taste it. There are countless hours spent walking the vineyards, checking the vines, hoping for the perfect combination of sun, temperature and rain. There you have it, in your hand the literal fruit of our labors. The grandest return of our careful investment. We make outstanding wine because our attention to detail is so great. We live in the vineyards. We know our vines. We hand-harvest our grapes. And we're committed to producing intriguing wines from using primarily French oak barrels. The prestigious Stagecoach rests on the southern face of Pritchard Hill adjoining Eastern Oakville from an elevation of 900' climbing to over 1700'. It boasts a collection of the best selections and clones of Cabernet Sauvignon in California. Cool fog rolls off the hills each morning during the summer and the sun shines on the vines for most of each day. This combination of cool nights and lengthy warm days allows for great complexity.